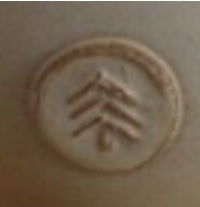 Preferred Clay: earthenware; explored the use of local clays from her location, whether from Gimli, MB, Corner Brook or Bell Island, NL; also Lantz clays from Nova Scotia. 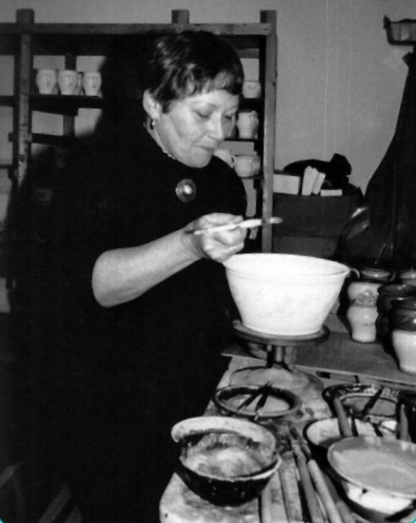 She has been called “the matriarch of functional ceramics” 7 in Newfoundland and Labrador. Her pottery has sold from the Pacific to the Atlantic , A potter’s potter, Margo Meyer is not known much beyond her adopted province. At times outspoken, other times intensely private, she displayed and unrelenting commitment to the medium as she raised a family, set up and taught ceramic programs, co-started a retail outlet, served on craft organization boards, and overcame her frustration with government bureaucracy. She adds another dimension to the story of the flow of influential potters from Europe, England and the US to Canada. At times she was such a private person there is a chance she would not have appreciated a page such as this on her life and work. But she did permit me to interview her many years ago. I hope this page’s presence would have met with her consent. Meyer fast-tracked herself. She started a traditional European three year apprenticeship in Baden Baden “learning discipline and basic technique.” ¹ She then moved on to the next level as a journeyman. Normally this stage would have taken five years. She completed it in three. She then completed her master’s designation in Landshut, southern Bavaria, working long nights in the studio.¹ She was twenty five when she finished. She then tried a few ventures, opening a shop, and for a while teaching at Aachen Technical University. 6 But this was not enough. Because of Newfoundland island’s isolation resources and training in the early 1970s were not reliable. Meyer helped many in their apprenticeship years because she was close to them geographically. The federal department, Manpower at the time, would fund relocation expenses for nine months but not for potters “starting their own business.“ 4 This bureaucratic limitation was complemented by provincial inefficiency in not helping artists set up their business. 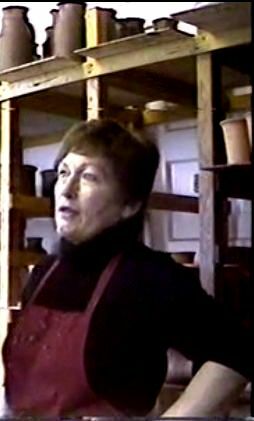 She was also frustrated when she noted that artists were brought in by the provincial government to teach a course but there was little follow up or information provided for potential students to continue.¹ In spite of an uncertain future for pottery Meyer provided the know-how through the years. One can only admire her tenacity. I’m not quite sure how she responded to these attitudes and comments publicly but in our interview she was quite emotional in her tone and phrasing. Margo Meyer was a selling potter, not a gallery exhibitor. She sold her works across the country in galleries and shops but her work has essentially disappeared from view. You will not find it in major exhibition catalogues and would be hard pressed to find it in regional or local catalogues. Rather, it exists as a vast reservoir in homes and personal collections. Many people have her treasures in their homes and do not know it. Her works are waiting to be re-discovered. Keep an eye out for them. And if you have pictures of them pass them on to me so others can enjoy them. The following are a few observations about Margo Meyer’s pottery followed by a short slide show. Her works have a simplicity of form, mainly cylinders and cones, occasionally spheres, wheel thrown. The surfaces are smooth. Although she wanted to vary her work she readily acknowledges that she continued lines because buyers liked their feel, their touch to hands and mouth and their look to the eyes.¹ Words that production potters yearn to hear. She was also customer savvy. Favourite surface base-colours are white and cream with floral, fish-like or linear forms in vertical patterns or frieze – like designs.5 The simple elegance of her forms and glaze designs increased over the years: notice the change from Winnipeg to Bell Island in the slideshow below. Sometimes she would fire pieces three 3 times, e.g when using gold lustre. An example of one of her “goof-offs” from around 1975 is also included in the slide show below. 1. Margo Meyer. Interview with Barry Morrison, St. John’s, NL, September 1981. 3. Colleen Lynch Pastore, in a review of Craft Profiles, April 12 – April 20. pp. 22-23. Memorial . University Art Gallery, Newfound land, 1975. 4. Decks Awash, Volume 1. Number 10, Extension Service, Memorial University, October 1972. pp 16ff. 5. Marian Frances White. The Finest Kind: Voices of Newfoundland and Labrador Women, Creative Book Pub. 1992. pp. 107-108. 6. Philip Hicks. Margo Meyer. A Traditional Potter. Evening Telegram, August 23, 1986. 7. Gloria Hickey craft writer. One in a Line–Margo and Sophia Meyer’s Creative Legacy. Sunday, 2 February 2014. 8. Margo Meyer on Pottery Making. Bell Island Transmitter Project, Tape 12. Memorial University of Newfoundland. Distance Education, Learning and Teaching Support (DELTS) Identifier 00970, 1984. 9. Early history, and the first teacher… The earthenwareproject. 10. Peter Weinrich, Executive Director, the Canadian Crafts Council. Notes for a Lifetime Membership Award, St. John’s, NL, September 1981. 11. Don Beaubier Craft Newsletter May/June 2010. p.12. Craft Council of Newfoundland and Labrador. 12. Manitoba Crafts Museum and Library Permanent Collection. Winnipeg, MB. I have one of Margo Meyers Beautiful pottery lamps .. Thank you, Joe. I’ll add the picture to the slide collection on her page.